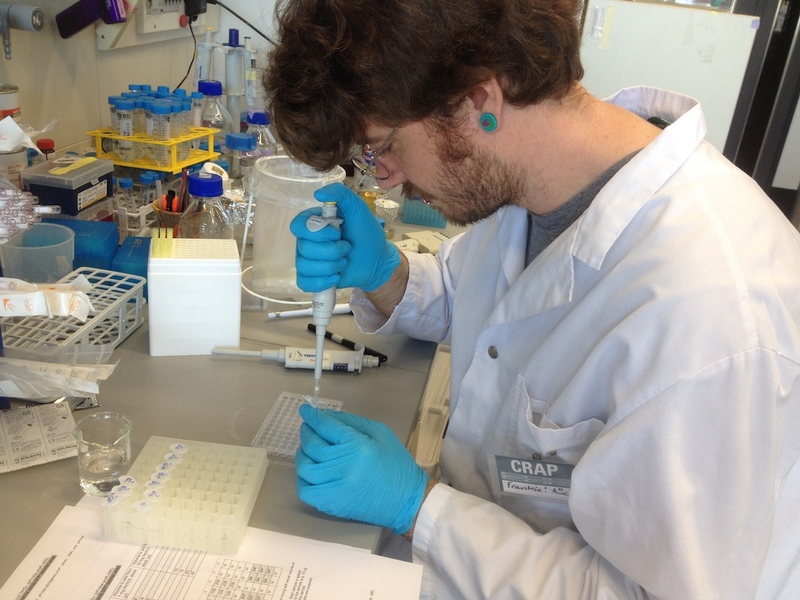 Previously, although we have the bioreporter strain ourselves, we have gone to Prof. van der Meer’s laboratory and had Dr. Siham Beggah set things up for us when we wanted to do our arsenic bioreporter assays (see here and here). This is partly because we didn’t have our own Arsenic (III) stock. So this was our first time where we did the arsenic bioreporter assay from start to finish on our own. 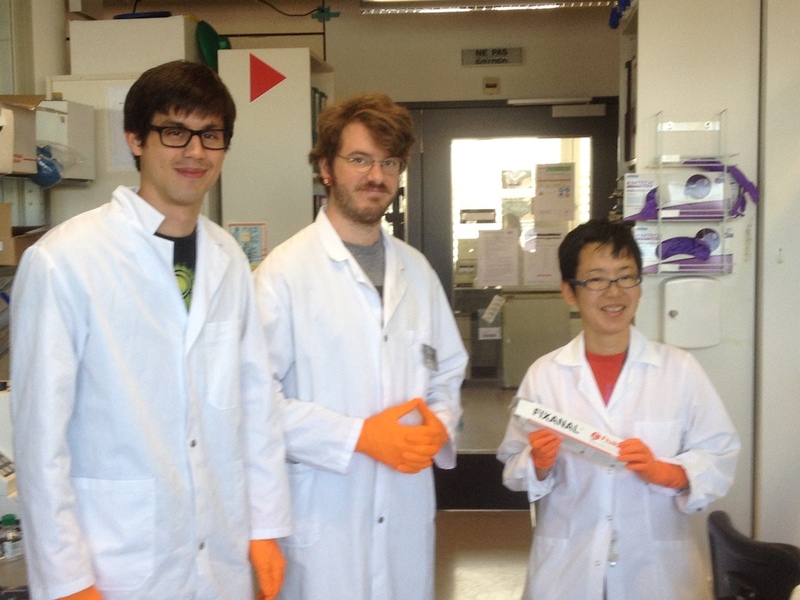 We followed the protocol given to us from the van der Meer Lab. We prepared the stock solutions in the protocol, and LB media to be autoclaved. We took a colony from the LB kanamycin (50ug/ml) agar plate, and started an overnight culture (10ml x 2). We first diluted the Arsenic reporter bacteria 1 volume to 50 volumes in LB/Kan and put it in the shaker at 37C to allow the bioreporter bacteria to be in the exponential growth phase (happy bacteria). The bacteria was left to grow for 2 hours. In the meanwhile, the Arsenic Working Stock solution had to be made. This meant first, that we needed to make the BIG stock solution, as we purchased a concentrated volumetric stock of Sodium (meta) Arsenite (NaAsO2) from Fluka. The van der Meer lab purchases from MERCK, Germany: Sodium arsenite solution, c(NaAsO2) = 0.05 mol/l (0.1 N), 1 ml = 0.006495 g NaAsO2, already at 50mM concentration. We set up the chemical hood, so we can break open the glass vial safely, and to collect all of the stock in the volumetric flask. The stock has 1.3 g NaOH, so we decided also to acidify the stock with nitric acid and bring up to the final volume of 1L. It was not so obvious how best to open the glass ampoule, which held the concentrated stock, despite instructions online. A bit of adrenaline was helpful, to carefully work with the 50mM stock, which we will be keeping locked up in a fridge with limited access at 4C. From this stock, we prepared the following concentrations of AS(III) in different buffers. The aim of today’s experiment was to make sure we can on our own reproduce the arsenic bioreporter assay in 96 well format by ourselves. Also, just to reduce the number of solutions to be made, we tried the assay in LB as well as in the MOPS buffer (as advised in the protocol). LB is much more nutrient rich, so bacteria should grow better, while MOPS is a buffered solution with defined nutrient source (on a diet!). 100 µl of the Arsenic solution was then mixed with 100µl of Bacteria, and we had triplicate samples. From this, we learned that we have similar dynamic range on our 96 plate reader as the van der Meer lab. Now we are all set to test and compare our prototype to the plate reader. First, we can see that the dynamic range is much bigger in MOPS medium. This is due to the fact the LB is fluorescent and will add to the fluorescence of the bacteria. 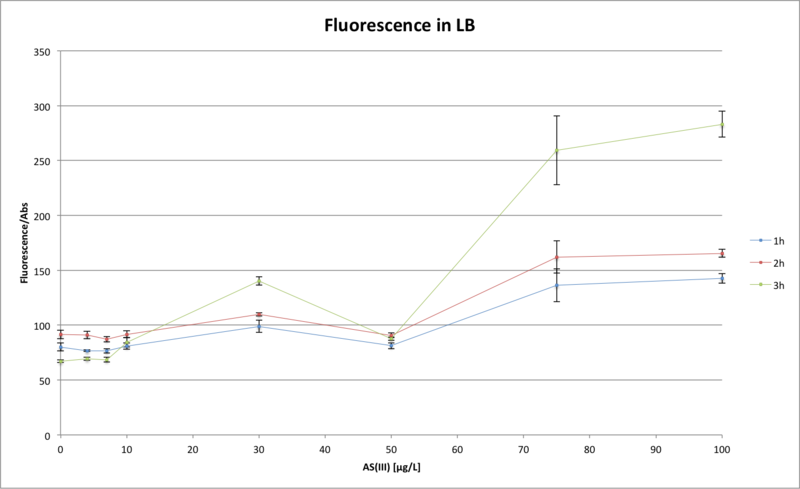 Therefore we only remark a notable difference after 30-50 µg/L of Arsenic because the basic fluorescence of LB becomes significantly smaller than the fluorescence of our bioreporter. We also remark that we surely did a pipetting mistake while pipetting the sample with a concentration of 50 µg/L of Arsenic because we can see that the points are not linear with the other measurements. 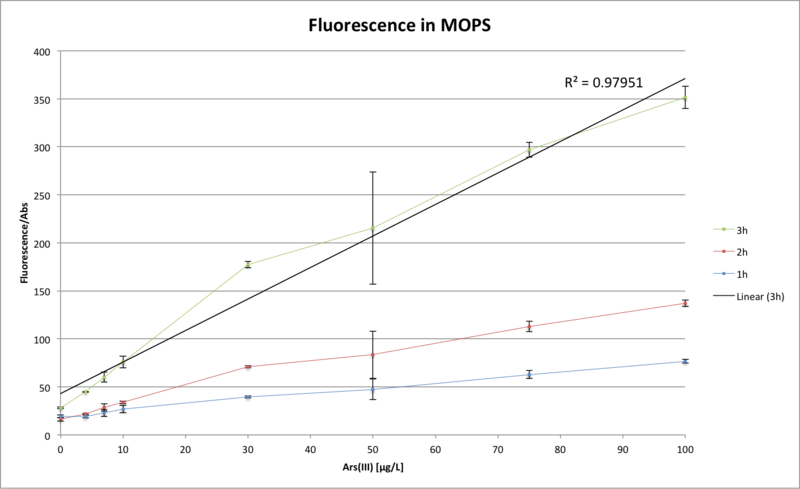 We also remark a large standard deviation for the 50µg/L of Arsenic in MOPS, and for the 75µg/L in LB which could also be due to pipetting errors. We can therefore conclude that our bioreporter is till functioning and we hope that the dynamic range is large enough so that we can differentiate it with our DIY fluometer! Enjoy our moment of truth breaking the ampoule!